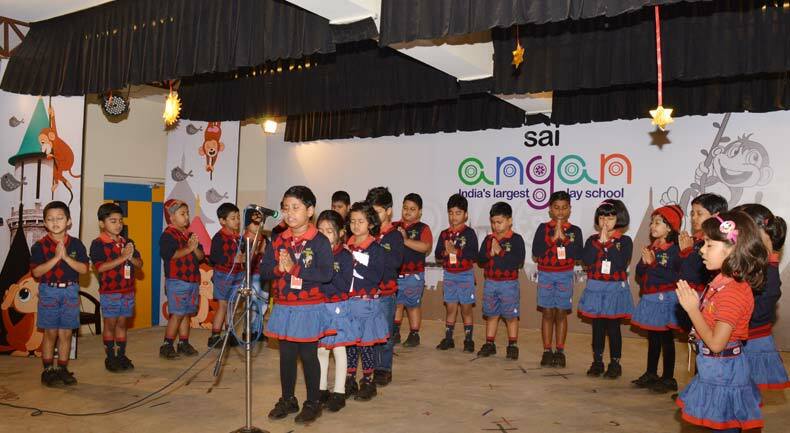 Following the multi sensory approach to learning, we engage the little children in various activities that enhance each of the eight skills right from poem recitation to fancy dress. 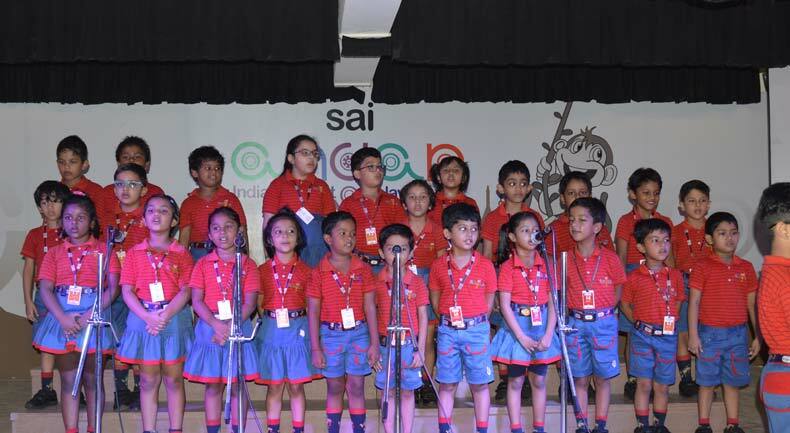 For a complete and organized showcasing of the latent talent of our little ones and to imbibe in them the confidence and poise required for public speaking, the auditorium at SAI Angan serves as a perfect setting for in house competition to celebrations like Mother’s day, Father’s Day. A favourite of the tiny tots of our school, it plays a venue for their movie screenings and class competitions. It is well equipped with the audio visual aids and the colourful chairs add on to the appeal of the auditorium. The auditorium at SAI Angan also serves as a venue for Parent Orientation Programs.